Koboldgames is a swiss based game developer for learning, awareness and motivation games, with a focus on customized solutions. Koboldgames GmbH was founded in 2012 by five game design alumni from Zurich University of Arts: Mischa Geiser, Yasemin Günay, Ralf Mauerhofer, Jasmin Widmer and Binan Woll. While still studying in 2011, the five kobolds got a publishing deal with the German adventure game developer and publisher Daedalic for what later came to be Journey of a Roach . This finalised the decision to establish a game development company at a time where a game development scene was practically nonexistent in Switzerland. Koboldgames received one of the first arts council grants for game development in Switzerland for Journey of a Roach. The game released on 4. November 2013 on Steam, GoG, other online platforms and even physical copy in stores, for Windows, Mac and Linux. After Journey of a Roach, the five kobolds decided to take a break from indie development and focus on working for clients. They had already worked on several serious game projects for the Zurich University of Arts, featuring a wide range of themes from nutrition information to arm rehabilitation exercises. 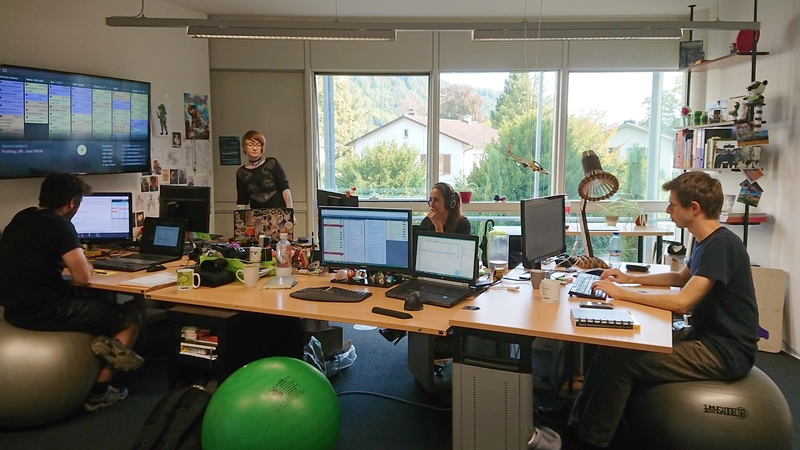 In spring of 2015, Koboldgames moved into the Technopark Brugg. This not only improved the commute for several Kobolds, it doubled the office space, added meeting rooms and free coffee provided by the Technopark Aargau. 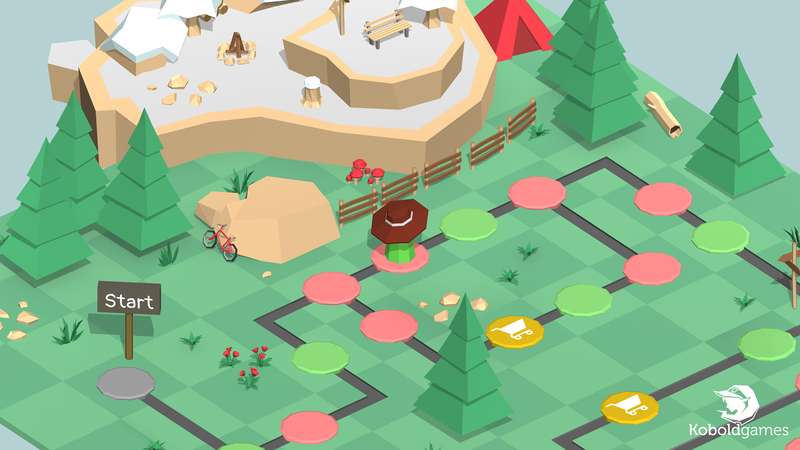 Later that year, the kobolds were approached again by Zurich University of Arts and researcher Anna Martin-Niedecken to develop a fitness game for studies about the dual flow. 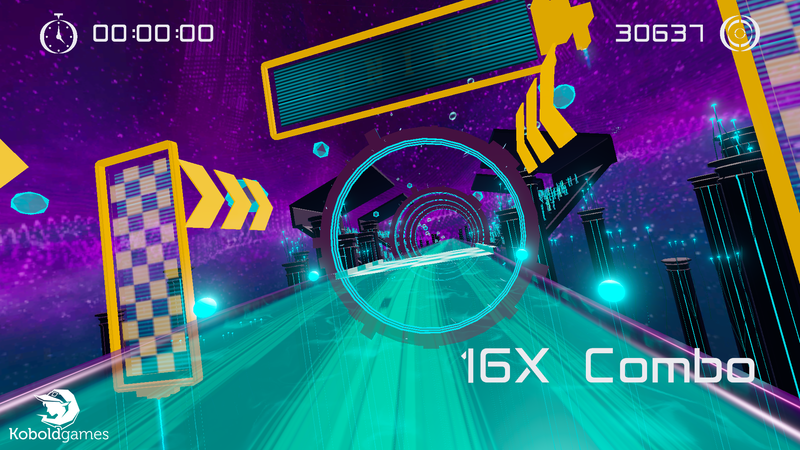 By implementing the Dual Flow theory into the game, the resulting Plunder Planet provides engaging motivation for exercising while being also as effective as normal physical exercise. Koboldgames got a taste for making games for research projects. 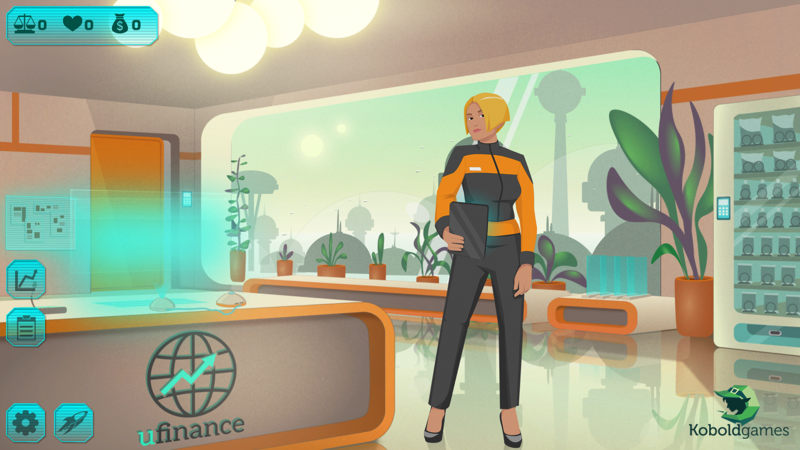 So, they teamed up with a research team from several Swiss and German universities to create a game for research about morality in business finance, the Serious Moral Game . This project continued evolving into several different versions for different studies, and accompanies Koboldgames to this day. Two years after the conception of Plunder Planet, Anna Martin-Niedecken returned with her newly founded fitness company Sphery. This opened opportunities for an exciting partnership, in which Koboldgames would develop games for Sphery’s ExerCube, a fitness equipment that would provide training based on the dual flow. 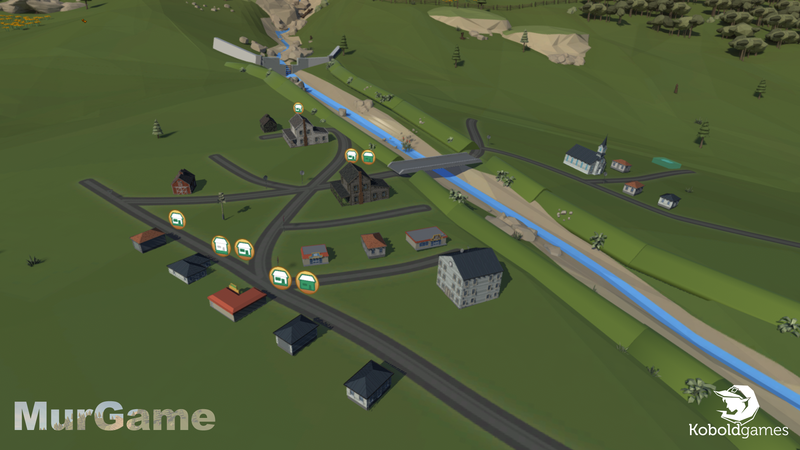 Next to these long term research projects, Koboldgames is constantly developing more applied games for customers, such as for Allianz Suisse, Wasserversorgung Zürich, Sonova) and Polymoney.org, ranging from education game for company employees, to geo-location history learning game, and physiological training game for seniors. Additionally, Koboldgames put one foot back to indie game development by creating Koboldgames Indie , a project assisting selected indie game productions in Switzerland. In a first phase, they took Livio, Sarah and Andi under their wing, pairing their unlimited creativity and enthusiasm with Koboldgames' years of experience in game production to create a prototype for Baba Yuga . Sadly, further development had to be stopped because of ressource problems. 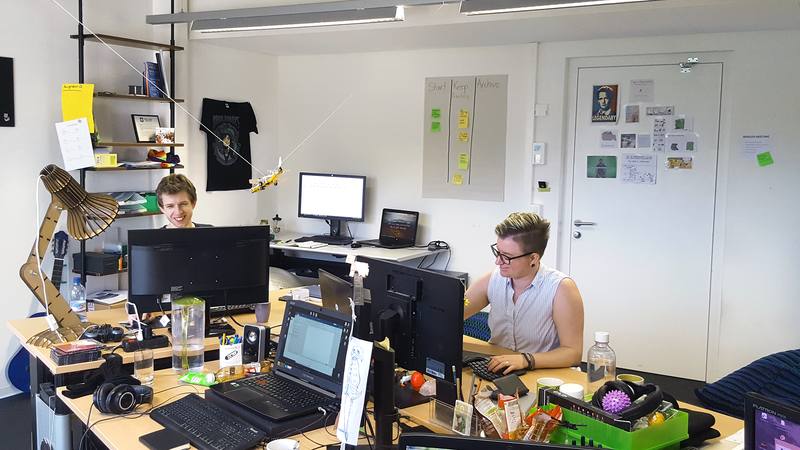 The increased workload early 2018 meant that Koboldgames had to quickly employ more programmers to meet their various deadlines: Julian Schönbächler and Eleanore Young. At the end of the same year Daniel Schütz expanded the team to help with the tracking for the Exercube. With this expansion, Koboldgames is now approaching the start of the eight year of its existence. The Kobolds are facing any challenges thrown at them with enthusiasm, creativity, and the power of teamwork and look forward to new projects. Martin-Niedecken, A.L. & Götz, U. (2017). Go with the Dual Flow: Evaluating the Psychophysiological Adaptive Fitness Game Environment Plunder Planet . - M. Alcañiz et al. (Eds. ): Serious Games, LNCS 10622, Proceedings of the Joint Conference on Serious Games (JCSG '17), pp. 32-43, Springer International Publishing. DOI: 10.1007/978-3-319-70111-0_4. Markus Christen und Johannes Katsarov (2018): Serious Moral Games – Videospiele als Werkzeuge der Ethikbildung. Johannes Katsarov, Markus Christen, Ralf Mauerhofer, David Schmocker, Carmen Tanner. Training Moral Sensitivity Through Video Games. A Review of Suitable Game Mechanisms. Martin-Niedecken, A.L. & Götz, U. (2016): Design and Evaluation of a dynamically adaptive Fitness Game Environment for Children and Young Adolescents. - In: Proceedings of the ACM SIGCHI Annual Symposium on Computer-Human Interaction in Play (CHI PLAY '16), pp 205-212, ACM: New York, NY, USA. ISBN 978-1-4503-4458-6. DOI 10.1145/2968120.2987720. - In: IEEE/ASME Transactions on Mechatronics ( Volume: 21, Issue: 5, Oct. 2016 ), pp. 2201 - 2213, IEEE. DOI: 10.1109/TMECH.2016.2559799. Need us to give a talk or interview? Want us for an exhibition? There's a problem with one of our games?